So it's my very first Follow Friday blog-hop. Yaayy. Follow Friday is hosted by Parajunkee and Alison Can Read, and this week's question is..... Q: Which book genre do you avoid at all costs and why? A. This one's easy. Historical romance. Give me anything with princes, princesses, marquises, swooning heroines, men in breeches, stories about evil twins and lost princes and inheritances and dowries...and I'll faint. But not before I barf. Anything where women don't wear jeans or, in fact, anything above the knee, cannot stand up for themselves against abusive males (or do stand up and is branded a rebel, a wild-cat to be TAMED. UGH) and one look from a male melts off her kneecaps is a no-no for me. Put in castles and old English and nasty, unfleeable arranged marriages and I am dead. Bear in mind that I'm talking about those pink-and-yellow jacketed things with weirdly dressed people on the front cover. 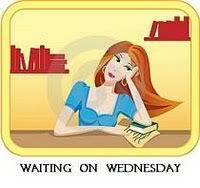 Waiting on Wednesday is a weekly meme hosted by Jill at Breaking the Spine where we feature the books we're waiting for! read currently-reading to-read Added to my books! add my review Loading... Loading... Girl of Nightmares byKendare Blake Girl of Nightmares (Anna, #2) In this follow-up to Anna Dressed in Blood, Cas begins seeing Anna everywhere: sometimes when he’s asleep, and sometimes in waking nightmares. But something is very wrong. These aren’t just daydreams. Anna seems tortured, torn apart in new and ever more gruesome ways every time she appears. Blog has been around since Dec 2010 but I actually started blogging just less than a year ago. February 2011, I guess, but it hasn't been a book blog for that long. Basically because I love to write, wanted a platform to build friendships with other bloggers and writers, and to just have fun, of course! 3. What has been the biggest challenge you’ve faced so far? Building a follower-base of people who regularly comment, look out and encourage blog posts. Some bloggers are the I'll follow you if you follow me kind of people, and they comment once and never come back. The same thing as above. Most people comment so that I may read their blog in return, but it gets tiring pretty quick. But I keep commenting, because it's fun to spread the love! 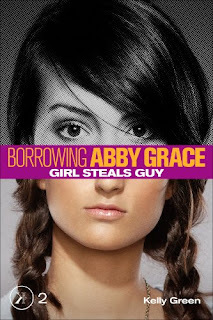 BLURB (from Goodreads): When Abby Grace wakes up in the back of a van, she has no idea who she is, how she got there, or why anyone would want to kidnap her. After escaping her masked captors, she hurries home, only to discover that she unknowingly left her younger brother behind in the van. Unable to answer the police’s questions with her memories gone, she retreats to the safety of her bedroom where she tries to reconstruct her life. Just as she is settling into the belief that things will one day return to normal, she looks in the mirror—and sees a stranger’s face.